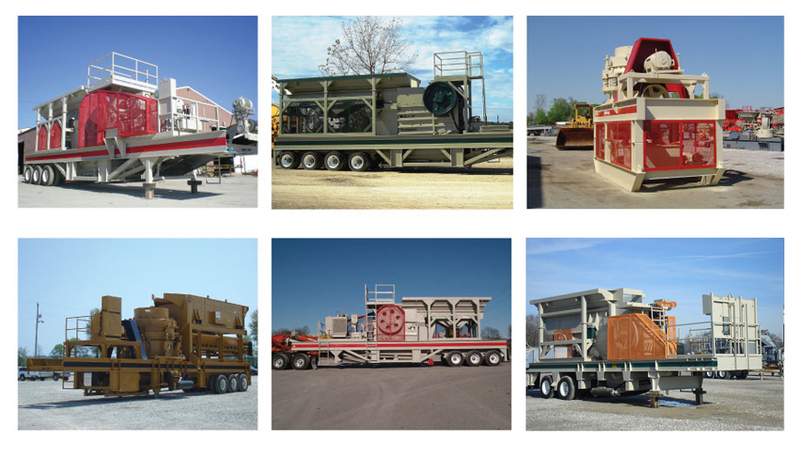 Our Company has the ability to design and manufacture custom made portable plants such as the ones shown on these pictures. These plants are fabricated by us on various facilities which specialize on such work. We can manufacture these plants on either used or new chassis. The components can range from all NEW components, reconditioned or remanufactured to used components. Different conditions will carry different pricing structures. However, our componentry fabricated crushing, screening or washing plants are certainly lower in price than the original factory built portable plants for greater affordability. Also our customers are able to custom-design their equipment to more accurately fulfill their job requirement. Any other specific needs you may have for the above inquiry ?